You probably depend on your washer for your clothes every day. Most busy households end up doing a load of laundry every day to keep up. 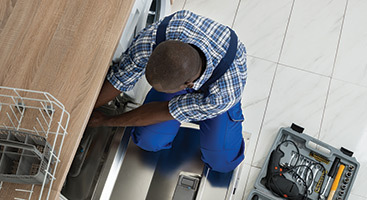 It’s one of the most important appliances in your household, and it’s one that most people who call our appliance repair team in Cleveland just can’t live without. But did you know that your washer can be used to clean a variety of household items? Here is a list of things you should be putting in your washer and how often they should be getting the deep clean treatment. These faithful companions go through a lot. From fears to dirt to sweaty hugs and more, if your child has a favorite stuffed animal then it’s going to need to take a spin in the washer at some point in its life. Wash them on gentle cycles as needed, or every few months. Bath mats with rubber backings are easy to throw in the washing machine. Wash them on warm or hot, just don’t do it too often because the hot water will wear out the rubber backing much more quickly. Every month is usually enough to keep them clean and looking like new. Your pillows soak up your sweat, drool, and dead skin cells, so it’s comforting to know that most pillows can be tossed into the washing machine for a good round of cleaning. 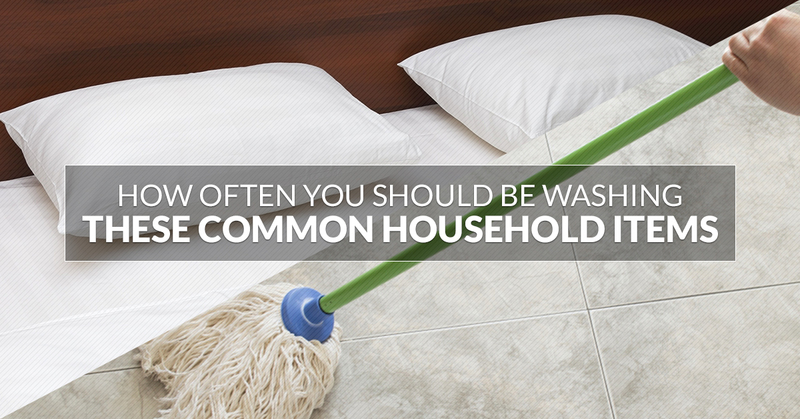 Wash your pillows at least twice a year following the instructions on the label. Bonus tip: dry your pillows with tennis balls to help them stay fluffier. This is why they are removable! Simply detach the mop head and throw it into your washing machine and wash it on hot for disinfecting power. 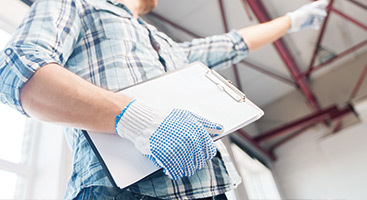 You’ll want to wash your mop heads at least every few times you use them, or after every serious deep-cleaning session. These bags are great for convenience and the environment, but you’ll want to wash them to get rid of germs and potentially dangerous bacteria from carrying home raw meats and vegetables. You can wash them by hand after every shopping trip and simply air dry them, or throw them into the washer on a gentle cycle once a month. Whether they are plastic or cloth, shower curtains come out great in the washing machine. Simply add your favorite detergent and get them started on a gentle cycle. Let them air dry before you hang them back up in your bathroom. Washing them once a month will keep them looking fresh and prevent them from getting mildewy. Love your sneakers or your fabric slip on shoes? There is a good chance you can wash them in your washing machine. Put them on the gentle cycle with some detergent and allow them to air dry completely before you wear them again. This can actually prolong the life of your shoes since you’ll be removing dirt and other debris that can wear out the materials faster. Try washing them twice a year. Potholders and oven mitts can go right in the washing machine with your kitchen towels. You’ll want to wash these every few weeks, or whenever they get dirty from meal preparation. It’s a good idea to wash your yoga mat regularly to get rid of any bacteria growing from sweat. Your face and skin come into close contact with your mat, so keeping it clean is a good idea for your health and wellbeing. Wash the yoga mat on gentle with cold water. Some people think you should clean it after every workout, but one a month is probably fine. You love your pets but you know how messy they can be. Their beds are no exception. Washing their beds removes fur and dander that collects (great news for allergy sufferers) and also makes it a healthier environment for your pet. Throw them into your washer once every two weeks at least. These might not get as dirty as your bed pillows, but they still probably get plenty of use. Nap time, snacks on the sofa and other everyday activities can leave them looking less-then-their-best and packed with germs. Throwing them into the washer on gentle twice a year will help prolong their life, too, and keep them looking like new. Now that you know all the great household items you can put in your washing machine, you’ll be running it more often than ever! 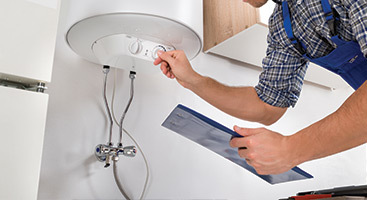 We’ll make sure it continues to run smoothly no matter what you put inside it. 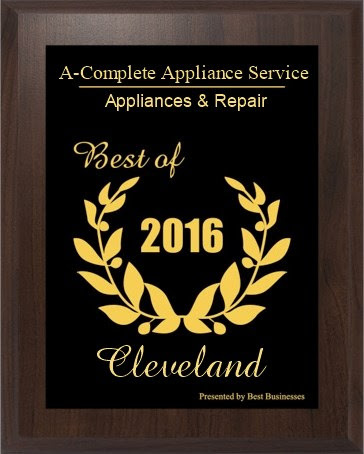 Get in touch with our appliance repair team in Cleveland for all of your appliance needs. You can reach us online or contact us through our website to schedule an appointment.